Our Android developers did it again. Always searching for more advanced usage for our proximity platform we decide to port our Android SDK to "Android Things". 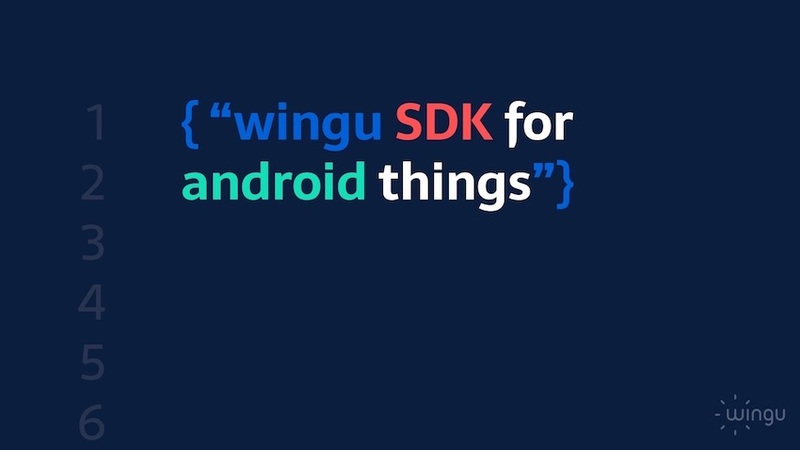 And now wingu is proud to announce a complete, easy to use Software Developers Kit (SDK), which runs perfectly on Android things. Android Things is Google's new OS for smart devices like the Raspberry Pi 3 or NXP i.MX7D. These devices can be used as a reliable core part for your IOT infrastructure and strategy, specially in an industrial environment. Our wingu SDK contains of a set of integratable files (Dynamic libraries and objects, API documents and code samples) which communicates quickly and seamlessly with our wingu backend applications. wingu aims with our SDK and API development to provide developers worldwide with easy to use and fast to implement proximity solutions. wingu SDK for android things: How it works? Register on our platform and take it for a spin, we are pretty sure that the days of writing your own proximity code or relying on less advance SDK's for scanning, fetching, etc., etc. are over. You can concentrate on building the app for your clients or use-case, we will take care of all proximity complexities and content delivery. Do you want to discuss your use-case with us or if you have technical questions ? Feel free to catch us and talk with one of our proximity experts. Nobody knows proximity like we do. Our team boasts some of the world’s top proximity experts. These are the people who build wingu’s SDK platform and APIs. Proximity-related technologies evolve fairly fast and regularly, so keeping up with innovation is tough. We take care of the hard part so you can focus on what you do best.